It is an international activity that initiates or accelerates the recovery of an ecosystem concerning its health, integrity and sustainability. Frequently, the ecosystem that requires restoration has been degraded, damaged, transformed or destroyed as the direct or indirect result of human activities. Five days dry forest ecological restoration workshop was held to address just that, from the 5th -9th of February in Dreketi, Vanua Levu. The workshop was hosted by Nature Fiji Mareqeti Viti, in partnership with Botanic Gardens Conservation International who is working on a project to enhance capacity for tree conservation and dry forest restoration in Fiji. This Keidanren Nature Conservation funded initiative focusses on the development of restoration activities which includes building capacity in Fijian stakeholders for the restoration of dry forests including the development of general restoration guidelines for dry forest restoration initiatives in Fiji, as well as more specific restoration plan for a dry forest restoration site in Nakanacagi, Vanua Levu. Participants from SPC Land Resources Division, National Trust of Fiji, Conservation International, Ministry of Forestry, Mamanuca Environment Society, community reps from Nakanacagi village and the Macuata district were present during this 5-day workshop. These individuals, based on their experience provided guidance on the preparation of the Nakanacagi dry forest restoration plan and contributed to both the planning and surveying of the dry forest. Discussions included planning of forest restoration through the guidance of a restoration site baseline inventory, dry forest species selection, Nursery Techniques, Site Management and Restoration monitoring. Twenty-two dry forest plants were identified during the workshop as plants that were to be considered for the restoration project with their phenology, cultural significance and importance. Jean Linsky BGCI South-east Asia network coordinator said she was happy that this workshop turned out to be a successful one as all relevant stakeholders and individuals from the Nakanacagi community were actively engaged in planning out the forest restoration plan in the duration of the 5-day workshop. 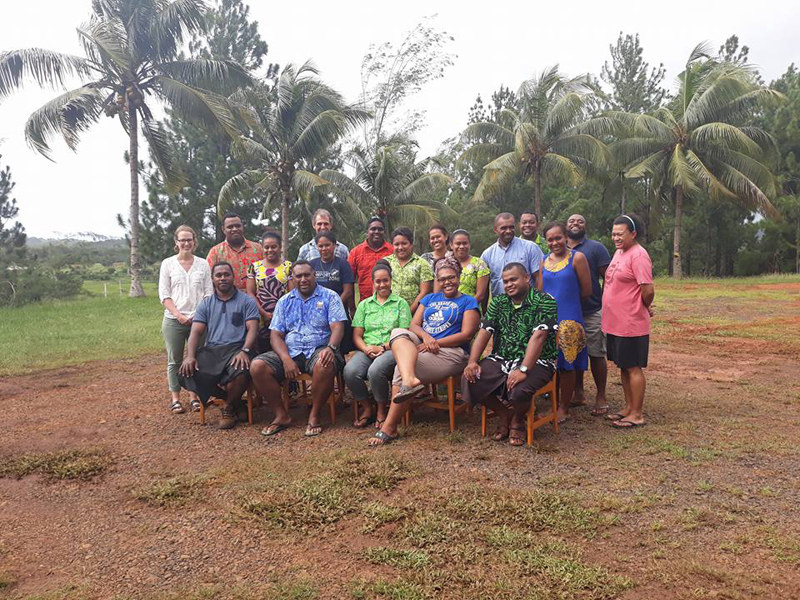 The Mamanuca Environment Society would like to thank Nature Fiji’s Mareqeti Viti for being given the opportunity to be a part of this capacity building workshop which would greatly assist the organisation in building on the current restoration project in the region.